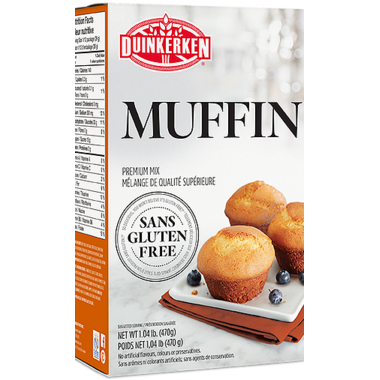 Duinkerken Muffin Mix is a muffin mix that will deliver the perfect muffin that everyone can enjoy, each and every time. Simple to prepare by adding eggs, oil and milk. You can easily personalize your muffins by adding fresh fruit, chocolate chips, or anything your taste buds desire to the batter. The mix is produced in a dedicated gluten, wheat, nut, and soy free facility. This all natural mix contains no preservatives, artificial colors or flavors, and is enriched with essential vitamins and minerals to sustain a healthy lifestyle. Ingredients: Tapioca Flour, Corn Starch, Rice Flour, Potato Flour, Cane Sugar, Milk Protein Concentrate, Sodium Acid Pyrophosphate, Sodium Bicarbonate, Monocalcium Phosphate, Egg White, Sea Salt, Maltodextrin, Xanthan Gum. 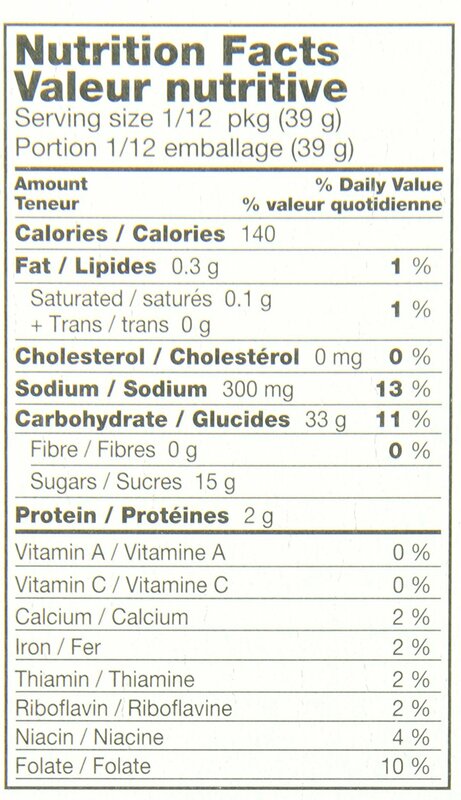 Vitamin enriched with: Iron, Niacin, Thiamine, Folic Acid, Riboflavin.